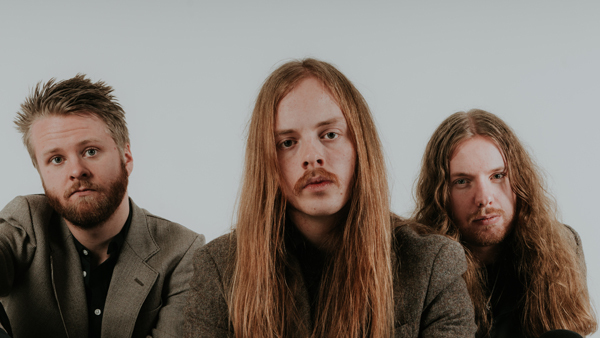 With an average age of nearly 23 years old Icelandic Rockers THE VINTAGE CARAVAN show a maturity worthy of any band that has been on the road for decades. When the band got on stage at the 2012 edition of the Icelandic Eistnaflug festival, the trio was only allowed to enter the venue accompanied by their parents. The attending music fans and journalists were therefore not prepared to the following spectacle. What followed was an astonishing amount of shows: European tours -including UK and Scandinavia- alongside bands as the legendary EUROPE, BLUES PILLS, GRAND MAGUS and ORCHID. In 2016 the band already started going out on their own headline tours across Europe, UK and Latin America. On top THE VINTAGE CARAVAN has played numerous festivals such as Roskilde (2x), Wacken Open Air (2x), Hellfest, Resurrection Fest, Summer Breeze, Graspop, Ramblin’ Man Fair, … only to name a few! So far THE VINTAGE CARAVAN have released 3 full albums. Their brand new album ‘GATEWAYS’ was recently released on August 31st via Nuclear Blast and charted in Germany at #75! The record has achieved a raft of splendid soundcheck positions (#2 – ROCK HARD (GER), #3 – METAL.DE (GER), #5 – SPARK (CZ), #6 – METAL HAMMER (GER) a.o. ).